Gus: There is a huge cat unemployment problem sweeping the nation. Homeless, unemployed cats everywhere are seeking best friend positions before the job market is flooded with kitten graduates. We are helping the cats at Great Plains SPCA prepare for their job searches by doing mock interviews. Today we are interviewing Bella. Bella: Why, hello, darling! I am so glad I can grace you with my presence. I need to clarify something first. I'm not here for an interview. Bella: I don't grant interviews, darling. You know that saying "Dogs have owners, cats have staff?" I'm here for recommendations on staff. After all, how could someone this beautiful be expected to work? I mean, look at me! I'm gorgeous! Why an artist couldn't even paint something this beautiful. My critics say I have a bit of tortie-tude or that I'm a bit of a diva. But I think I'm a STAR! Being the star that I am I can't be expected to share the stage with any other creatures, now can I? I'm really not all that demanding. I just expect gourmet food, comfy beds, and maybe some large windows for a little squirrel tv. Gus: Well, there you have it. 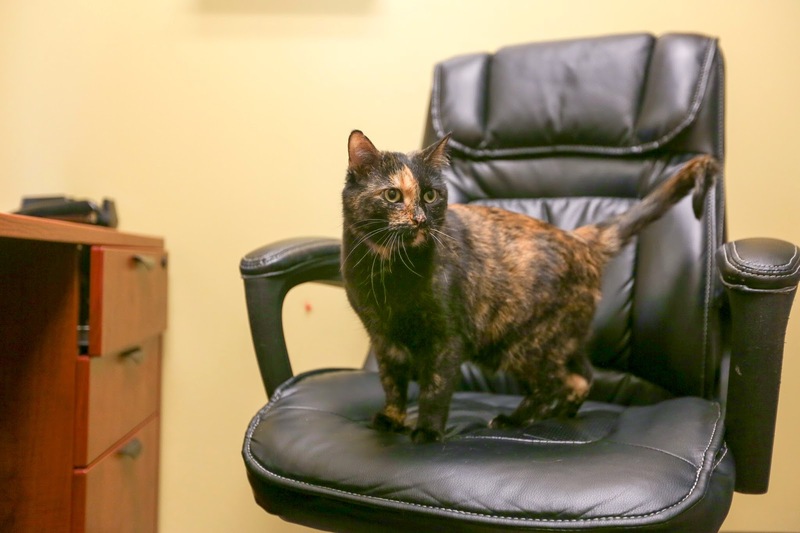 If you would like to be interviewed by Bella, she has office hours at Great Plains SPCA's Merriam campus. Such a cutie! I hope she gets her forever home soon. Bella is gonna get lots of interviewees! 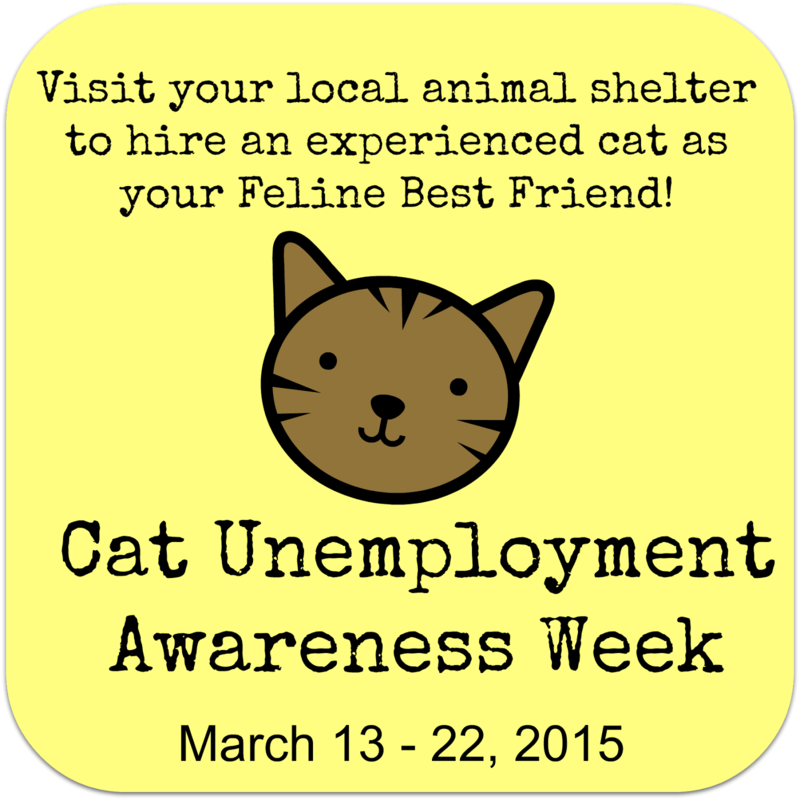 I am loving this Cat Unemployment Week!!! It is absolutely the cutest. Bella, you will get a job in no time - a job that only requires you to look beautiful and eat yummy food and lay in comfy beds! You would be very hard to paint dear Bella, and Our Mom am an artist so we know! 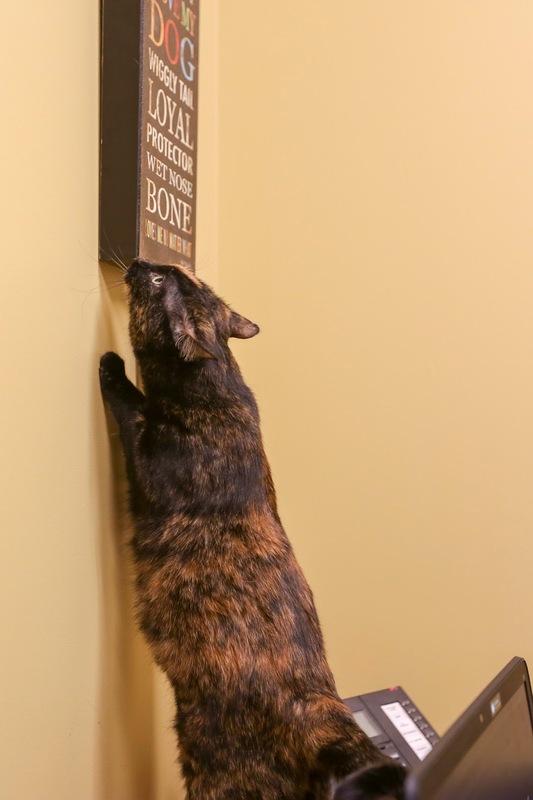 We hope you get your purr fect job just being beautiful furry soon!